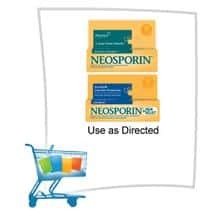 Click here to visit the neosporin site and you’ll be able to print a coupon good for $2 off any Neosporin Antibiotic product. If you rather them mail it to you, click “help” on the bottom right of the coupon page. no coupon available is the response I now receive.